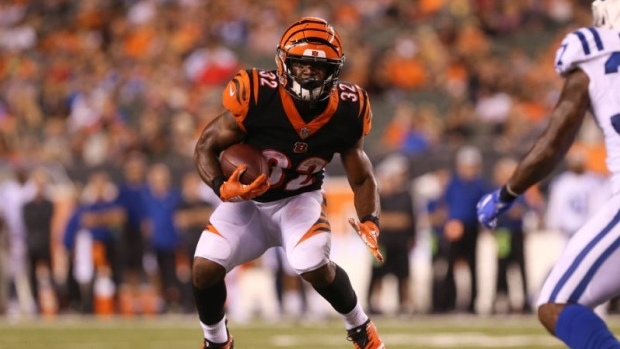 MIAMI — Prosecutors say Cincinnati Bengals running back Mark Walton is facing a marijuana possession charge in Florida. Walton was arrested late Friday on an unrelated battery charge after police say he got into an argument with a Miami couple about his SUV blocking a parking garage entrance. The drug charge came Jan. 16 after police said they smelled marijuana and found drugs in Walton's SUV during a traffic stop in Miami-Dade County. The Miami Herald reports prosecutors did not make the drug charge public until Monday. Instead of being jailed in that case, the 21-year-old signed a document promising to appear in court. Walton posted bond for the battery charge and was released from jail after Friday's arrest. Court records did not list an attorney for him.